What could possibly be better for a trainer than winning his first Grade 1 stakes? Owning that horse and getting a free trip into the $6 million Breeders’ Cup Classic. Three days after Uriah St. Lewis’ five-year-old Discreet Lover captured the $750,000 Grade 1 Jockey Club Gold Cup by a neck at odds of 45-1, St. Lewis, who said he bet $200 across the board on him, was still smiling. Who wouldn’t? 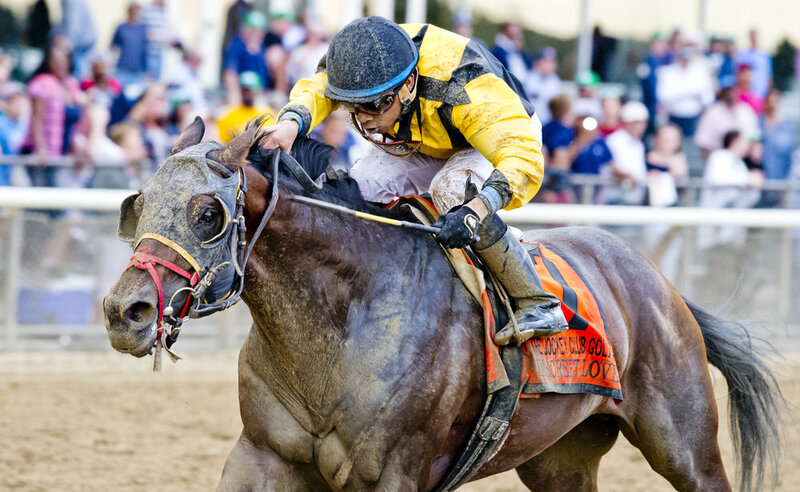 Now Discreet Lover, whom St. Lewis bought for $10,000 as a two-year-old in training at Timonium in Maryland, will take him to the biggest race of the year for older horses at Churchill Downs. This is heady stuff for St. Lewis, a 60-year-old native of Trinidad who used to literally run to Aqueduct to bet on a couple of races after he was done for the day at Clinton High School in Brooklyn, where he ran on the track team. “You can actually see the racetrack from the roof of the high school,” he said. St. Lewis was 15 when his family moved to Brooklyn in 1973. So he did. He went to Oklahoma with his family, purchased an 88-acre ranch and began to learn about training. He was instructed to buy his own horses to train, and that’s what he did. “I bought two horses for $5,000,” St. Lewis said. That chance had him standing in the winner’s circle after the Jockey Club Gold Cup and heading for the Breeders’ Cup Classic. That’s a long way from Trinidad.